For the bedroom musician, recording was a pain until software gave them an option that was fast, flexible and sonically indistinguishable to the untrained ear. Then the pros went crazy with all of that power and turned making music into a mad science of sonic construction. 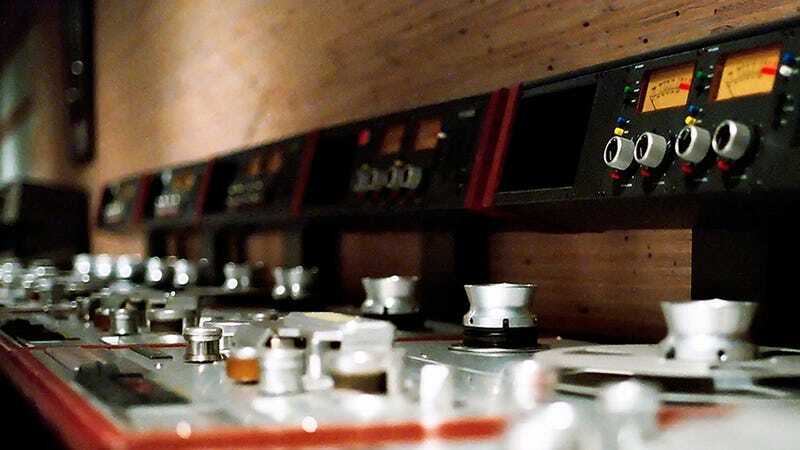 The trouble is that the tools that turned the everyman into a recording artist have been abused by professionals who chop, mix, and process everything to hell. Sometimes that's called for as with hip hop, experimental noise, and electronic music. But there comes a point when perfecting the pitch of a singer's voice sounds wrong. Fine editing and processing tools designed to enhance songs end up making music sound unnatural when they're overused—much like it looks terrible when you process an image too much in Photoshop. Even with a pro at the helm, over-editing only achieves a sound akin to the look of models on magazine covers that resemble people, but are really soulless shadows of the real thing. Audio guru Steve Guttenberg writes about this problem in this month's issue of Stereophile. He got to talking to some industry folk at a convention, and it turns out that there's an emerging consensus that producers are overdoing it. A few engineers talked about superstar vocalists who record literally hundreds of takes of a single song, then leave it to the editors to assemble from these a single "perfect" performance, a fraction of a second at a time Pardon my snark, but imagine how much better records by James Brown, the Beatles, or Led Zeppelin would have been had they had Pro Tools in the 1960s and '70s. Sadly, it's a tool that some artists can't resist using to the point that there's nothing left of the original performance.